The death of Dr Henry MacNaughton-Jones, which occurred at his residence in London, on Friday 26 April 1918 was a shock for the people of Cork. He had earned a distinguished reputation as a specialist in obstetrics and gynaecology, on which he was an acknowledged authority. Henry was a central ﬁgure in the development of medicine in Cork. Henry was born over seventy years earlier in 1845. Born in Cork City, he was the son of Dr William Thomas Jones MD, and Helen MacNaughton Jones. He received his early education at the Queen’s College, Cork, graduating with an MD (1864) and further qualifications as the years progressed. At the age of nineteen he was appointed Demonstrator and Lecturer in Descriptive Anatomy. Later, in 1876, he became Professor of Midwifery in the College, and in 1881 Examiner in Midwifery (obstetrics and gynaecology) in the Royal University of Ireland. During this period, however, as a junior doctor Henry did duty in no less than eight of the Poor Law dispensary districts of the city for some years with a degree of skill and kindness, which made him one of the most well-known and popular junior medical men of his time. For eleven years he acted as physician to the Cork Fever Hospital, and for a good period also he was surgeon to the South Infirmary. In 1868 at the age of 24 Henry founded a 30-bed Cork Eye, Ear and Throat Hospital, in a building at the western end of Sheares Street. He was also physician there between 1868 and 1882. In the first eleven years, the hospital treated over 2,000 intern and 20,000 extern patients. A new hospital building was constructed 200 yards from existing building in 1895-97. Designed by architect James McMullen it has an elaborate ruabon brick with limestone dressings design. The foundation stone was laid by the Mayor of Cork, Patrick Meade on 29 or 30 December 1895. James McMullen had a high profile in the city. He had been High Sheriff for the City of Cork in 1907-08. 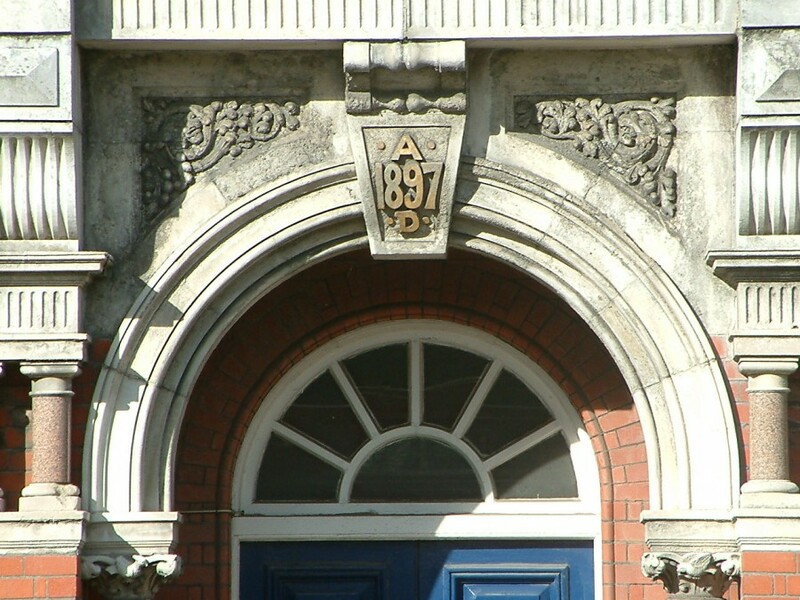 Significant works by McMullen in Cork city include: Eye, Ear & Throat Hospital, Western Road (1897); conservation of the Firkin Crane, built in 1855 in the Shandon district of the city (1900); St. Finbarre’s West Total Abstinence Club, Bandon Road. (1900), formerly known as “Lough Rovers” and the remodelling of Holy Trinity Church, Fr. Mathew Quay (1906–08). In 1872 Henry MacNaughton-Jones was co-founder and physician to the Cork Maternity Hospital, Nile Street (which later moved to Bachelors’ Quay). It was established to provide free care to pregnant women in their homes and to educate nurses. During the first five years 1,611 women received care and twenty nurses were trained. Henry was also co-founder (1874) with a Miss Gibson and secretary to the medical committee (1877-9), becoming visiting medical officer (1874-80), and consulting surgeon (1880-83) for the County and City of Cork Hospital for Women and Children (renamed the Victoria Hospital in 1901). The creation of the premier branch of the British Medical Association in Ireland was due to Henry’s efforts. His failure to gain the chair of materia medica (1875) or of surgery (1880) at Queens College Cork may have precipitated his move in 1883 to Harley Street London. When Henry MacNaughton-Jones departed Cork he received many tributes and presentations from his colleagues, his patients, and the citizens, generally. Henry maintained a deep interest in Queen’s College Cork. He founded the Old Corkonians graduate club (1905) in London and made clear his objections and those of the club to the change of name from Queens College Cork to University College Cork. He is reputed to have composed the college motto “Where Finbarr taught, let Munster learn”, though he merely popularised it in verse recited at the inaugural dinner of the Old Corkonians (1905). Henry was thrice President of the Irish Medical Schools, and Graduates’ Association; twice President of twice British Gynaecological Society, Vice-President and President of the Obstetrical and Gynaecological section of the Royal Society for Medicine 1910-11, mid president of the Irish Association (in London) 1909-10. By members of the medical profession on the Continent he was as highly regarded as by his colleagues at home, and he held honorary membership of the Obstetrical Societies of Leipzig, Munich and Rome, as well as Honorary President of International Congresses of Obstetrics and Gynaecology of Amsterdam, Rome and St Petersburg, and Raconteur for Great Britain and Ireland at the International Congress of Obstetrics and Gynaecology in Berlin in 1912. Henry was the author of a number of medical books, which included the Atlas of diseases of the membrana tympani (1878), Points of practical interests in gynaecology (1900), and Practical manual of diseases of women and uterine therapeutics (1884), and joint author of Practical handbook of diseases of the ear and nasopharynx (1887), he published numerous papers on a variety of subjects including ophthalmology, surgery, otology, and anaesthesia. He also published collections of poetry, including The Thames (1906) and A Piece of Delph and Other Poems (1908). Henry was married to Henrietta, the third daughter of Mr William Veiling Gregg, solicitor of Marlborough House, Cork, and they had five children. During the summer of 1917 Henry contracted a chill at the seaside, and he never fully recovered from the serious effects. His death took place at his residence, on Friday 26 April 1918 at The Rest, Ravenscroft Park, High Barnet, London. 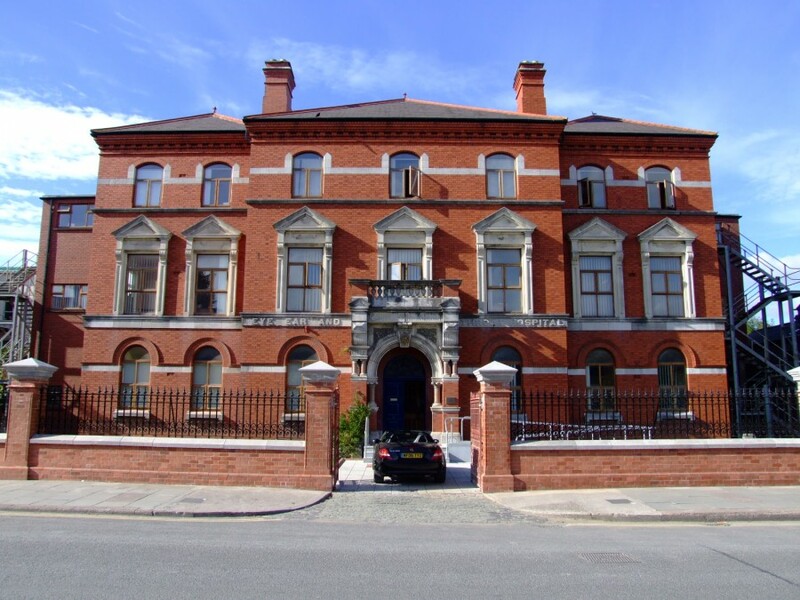 Sunday 6 May 2018, The City Workhouse; learn about the workhouse created for 2,000 impoverished people in 1841; meet at the gates of St Finbarr’s Hospital, Douglas Road, 2.30pm (free, duration: two hours, on site tour), in association with the National Famine Commemoration, 2018, Cork.